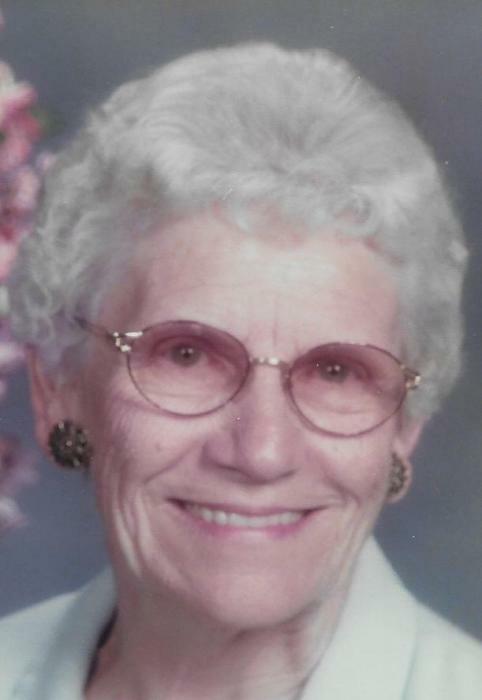 GALVA - Evelyn M. Orwig, 87, of Galva, formerly of LayFayette, died at 10:24 a.m., Wednesday, January 30, 2019 at Courtyard Estates in Galva. Funeral services will be held at 11:00 a.m. Saturday, February 2 at Rux Funeral Home in Galva. Rev. Fred Reiner will officiate. Visitation will be held one hour prior to the services at the funeral home. Burial will be in Galva Cemetery. Memorials may be directed to the LaFayette United Methodist Church. She was born June 22, 1931 in Toulon, the daughter of Phillip and Effie (Strong) Muckey. She married Donald F. “Donnie” Orwig on March 17, 1950 in Toulon and he preceded her in death on June 23, 1992. Survivors include her five children; Randy (Ada) Orwig of Galesburg, Debbie (Jeff) Arch of Kewanee, Phil (Sandy) Orwig of Atkinson, Teresa “Teri” (Mark) Kemp of Galva and Tim (Marsha) Orwig of Plainfield, IL, seventeen grandchildren, thirty-three great grandchildren and two great-great grandchildren. She was also preceded in death by her parents and two brothers, Phillip Muckey and Kenneth Muckey. Evelyn graduated from Toulon High School in 1949. In her early years she helped in the activities department at Toulon Health Care Center. She had worked as a mail carrier and loved being a homemaker and raising her family. She was a member of the LaFayette United Methodist Church where she served on several committees and taught Sunday School. She also volunteered for the Stark County Fall Festival and was an avid bowler and had bowled in several state tournaments. Evelyn had a caring heart and was always willing to lend a helping hand. She loved gardening, canning, knitting and crocheting, working with flowers, reading her Bible, providing baked goods for church activities and was known for her sugar cookies. Her most cherished time was spending it with her family and friends.